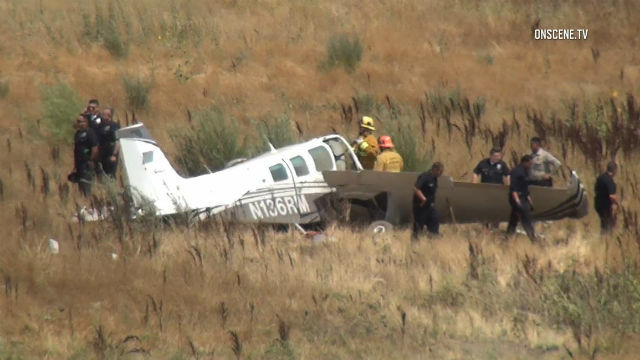 A pilot flying alone in his Beechcraft fixed-wing aircraft was killed Sunday when his plane crashed in a field in Sylmar near the Golden State (5) Freeway, according to the Los Angeles Fire Department. The crash took place near 12600 Encinitas Avenue in Sylmar, east of the Golden State (5) Freeway, about 1:50 p.m., said fire department spokesman Brian Humphrey. There was no fire after the crash. No structures were damaged and firefighters managed to extricate the man from the plane before he was pronounced dead at the scene. His name was withheld pending notification of next of kin. The plane was registered to a Marina del Rey resident, according to emergency transmissions from the scene. Authorities have not yet confirmed that information. The cause of the crash not immediately known. It was near the Van Nuys and Whiteman airports. 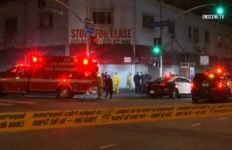 Last Sunday, five people were killed when a twin-engine Cessna 414 crashed into a parking lot in Santa ANa.